We take care to collect only the grapes which are: healthy, in the correct stage of phenolic maturity, and which are aromatically complete. Consequentially, our work in the vat house is simple and rests in line with the duties of organic agriculture. We vinify with as little direct involvement as possible. The grapes are sorted on a table before being put into vats (stainless steel and concrete). Our vinification process is divided according the different plots in order to obtain the purest expression of each of our terroirs. After cold maceration, the fermentation starts due to the naturally present yeasts. No oenological additives are used and sulphur doses are kept to the strict minimum. As our grapes are perfectly ripe, their extraction is easy and is done by gentle pumping-over and processing following our tastings. 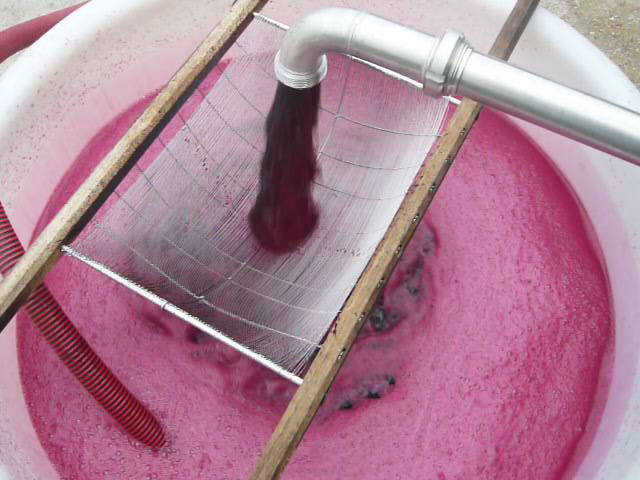 The different maceration times are long, between 25 and 35 days before draining. The various wines are then blended prior to malolactic fermentation to form our two red wines. The “Pirouette” cuvée is placed in cement vats for eight months in order to preserve the intensity of the fruit, and is bottled in the year following the harvest, strictly according to the final phase of the moon. The ” les Hélices” cuvée is matured in oak barrels for 12 months (from coopers Taransaud, Ermitage et Saury), then blended together as a whole. 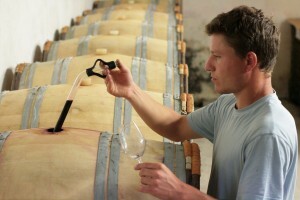 The bottling takes place eighteen months after the harvest, again strictly according to the final phase of the moon.